Jerusalem Venture Partners (JVP) and Chinese accelerator Shengjing360 launched a global innovation competition that will pay a top prize of $1 million and another $500,000 in other prizes. The competition, which will draw on applicants from Israel, China, the US, Europe, and Latin America, will select 20 start-ups as finalists to compete in Beijing for the prizes in August. The local portion of the competition, which JVP will lead along with a slew of corporate partners, will choose six to eight companies as semi-finalists, and three to advance to Beijing. “Israel is world-renowned for creating innovative, market- leading start-ups,” said JVP partner Yoav Tzruya. “This is a unique opportunity for companies to achieve a significant breakthrough in both global growth markets, including China, and to liaise with industry leaders. I’m sure this global competition will only generate even more interest in Israeli start-ups,” he added. Companies that do not have more than $1m. in existing investment will be judged on the basis of whether their innovative technology has a clear market and whether they can produce a beta prototype within a year. Companies in cyber-security, big data and data science, Internet and mobile, enterprise software, storage, fintech, Internet of things, wearable computing, and digital health will be eligible. 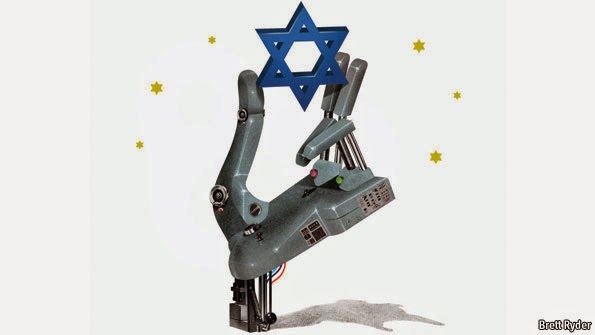 In related Israel-China news, Israeli tech company Taditel, which provides electronic solutions for the automotive industry, has opened a plant in China’s CI3 -Changzhou Industrial Incubator. The company said it is moving some of its operations there in order to keep up with global competitors. Many of their clients are automobile suppliers based in China, and the proximity is important. “The group’s vision features a vast business horizon and the potential to expand its activities in China, in both electro-mechanical systems and additional fields,” said Taditel CEO Shachar Kadhai. Last week, Israel and China signed a three-year agreement to strengthen innovation between the two countries. The agreement was signed at the first meeting of the China-Israel Innovation Committee, an initiative set up in May to foster closer economic ties.